today, we are going to look at one pretty interesting story, that has possibly set one of the world records. And the hero of the story? ČKD AH-IV tankette. The background of the AH-IV is relatively well known. 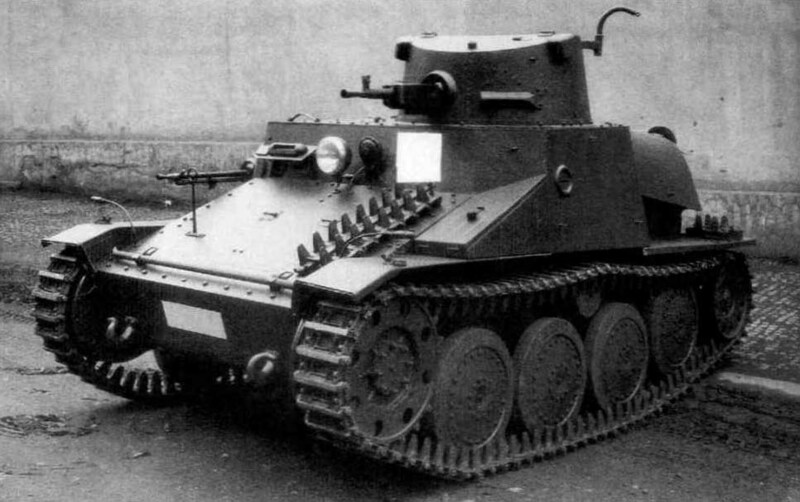 It was born in mid 30′s and it was the pinnacle of Czech tankette evolution. 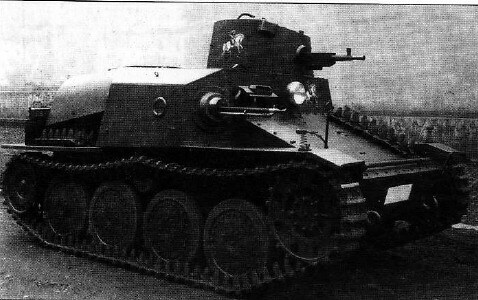 After the disastrous experience with the infamous Tančík Vz.33 (P-I), that was almost universally hated, ČKD decided it was time for some improvements and designed something on the border between a tankette and a light tank. The AH-IV was an export vehicle. There were three major versions: AH-IV-P (P as Persia, for Iran), AH-IV-Sv (Sv as Sverige, Sweden) and the AH-IV-Hb. The Romanian version actually fought in WW2 under the designation R-1, with mixed results (it was used as a light tank and for that purpose, it was simply too fragile). Romanians attempted to produce it locally, but this plan failed. But this is not where their story ends. This is where our story begins. It’s 1948 and the Europe is recovering from the most devastating war in mankind’s history. The (now virtual) battlefield is dominated by medium-heavy tanks (nascent MBT vehicles) and the age of light tanks – let alone tankettes – is long gone. Or, is it? After the war, Ethiopia’s titular emperor and ruler, Haile Selassie was not blind to the dawn of the tanks. Bitter Ethiopian experience fighting Mussolini’s forces (equipped with CV tankettes) fuelled his belief that the Ethiopian army too needs armor not to stay behind. By that time, one of his military advisors was a man by the name of Niels Sahlin. Colonel Sahlin was a Swede and he was also one of the men, who made the pre-war Swedish AH-IV purchase happen. He respected the Czechoslovak armor greatly and managed to persuade Selassie to have a look at what the post-war Czechoslovakia (working hard to secure arms contracts in “friendly” countries) had to offer. Selassie was reasonable: he knew his army would have no use for medium or heavy tanks. Sahlin pointed out that the Czech vehicles are rugged, reliable, easy to repair, they have decent ground pressure (which was important in the sandy terrain of Africa) and their engines don’t overheat. In June 1948, Ethiopian delegation came to Czechoslovakia to witness the AH-IV (Romanian version) trials. The test vehicle performed well and the Ethiopians were very impressed – so impressed in fact that they decided to sign the contract for 20 of these modified tankettes immediately. This contract was signed on 25th of June, 1948 and was worth 535 thousand USD. The only modifications, requested by Ethiopians on the vehicles were to make sure the tankettes can handle high desert temperatures and sandy/rocky terrain of Ethiopia. These included mostly cooling system modifications (bigger radiator). Despite the fact the firepower of the vehicle was completely obsolete by 1948 (7,92mm HMG ZB-37), no upgrade was requested, because it was considered to be sufficient for the African conditions. This somewhat improved vehicle was redesignated to AH-IV-Hb. “Hb” here means “Habeš”, an older Czech word for Ethiopia. The prototype was ready in 1949, it was tested personally by Sahlin and in September 1949 it was approved. On the picture below you can see it. Notice the picture of St.George on the side. Serial production ran (with some slight delays) until early 1950. In May 1950, the tankettes were loaded on a ship and moved to Djibuti via Malmö. From Djibuti, they continued by train to Addis Abeba, where Haile Selassie personally attended the unloading/transfer ceremony. This is however where the problems started. Ethiopian soldiers never had an armored unit before and they were afraid of the rumbling metal boxes. Some even considered the roaring tankettes to be cursed with black magic! Training and handling the vehicles on their own proved to be impossible, so once again, the Czechoslovaks would have to come to the rescue. An instructor was requested and ČKD accepted, sending a technician by the name of Jiří Labounek to Ethiopia. The sands of Africa proved to be quite a challenge even for the rugged tankettes and the common soldier’s superstition did not help either. Labounek, upon arriving, was forced to perform the trials by himself and despite the soldiers chosen for tank training showed zeal in their training, it was often delayed by their fear of the vehicles and by the fact they never operated any armor before. This resulted in an incident where the unit leader drove one tankette off a cliff by accident, but luckily both him and the vehicle survived the event. In the end, Labounek spent a year in Ethiopia and managed to train the basic cadre of tankers well enough. There would be one last test: a great military excercise in the desert sands, 250km from Addis Abeba. The tankettes managed to cross the distance without breakdowns, accompanied by only one refuelling car. 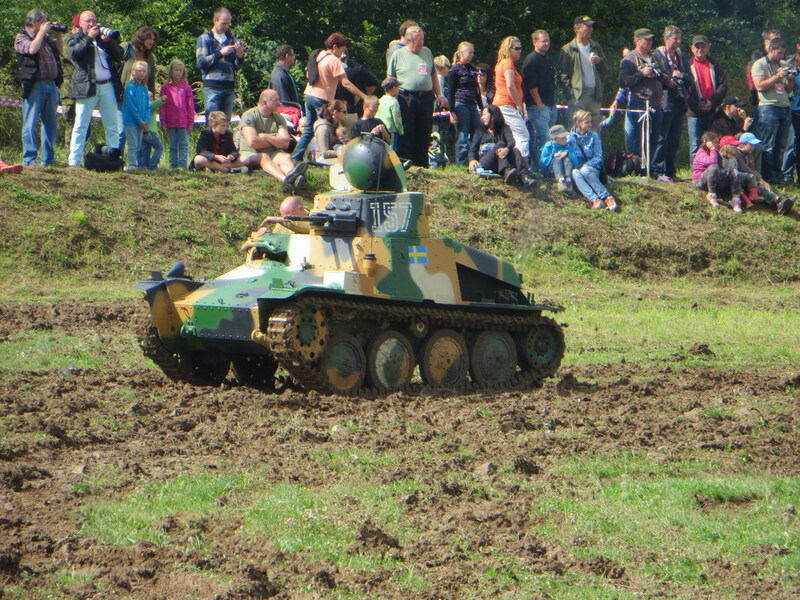 All 20 tankettes participated and their crews were eager to prove their worth. Their opponent would be the famed Ethiopian cavalry, that – a decade earlier – assaulted the Italian invaders’ armor with spear and sabre only! The task of the cavalry was to envelop the tankettes and prevent them from moving. This would however not happen. The tankette unit’s recon forces located the cavalry base, situated beneath an old volcano. Labounek – present as an advisor – suggested the tankettes should split into two groups and attack the base. It worked perfectly. Two lines of tankettes roared thru the desert wind in perfect formation to hit the base simultaneously. The cavalry units were so surprised they completely panicked and were routed, leaving the training area in fear! After that, the excercise was ended, but it was a complete success. As a result, for his role in training the crews and the success of the endeavour, Jiří Labounek was decorated with high Ethiopian military award, the Golden Order of St.Gabriel. And what became further of the tankettes? They served for many years, deep into the 70′s. In 1954, a shipment of spare parts was sent to Ethiopia. By the end of the 70′s, they participated in the battles between Ethiopia and Somalia, making them possibly the last tankettes in the world ever to see combat and the last vehicles of purely Czechoslovak construction to be actively used, a testament to their quality and the durability of the design. In case the ZB-37 HMG designation doesn’t sound familiar: BESA is a copy of this MG (it was widely exported). The reason it was produced in Britain in the not-typical caliber of 7,92mm was to avoid the problems with other Czech machinegun (ZB-26) conversions into .303 Bren. The Skoda Works actually pretty much helped the Nazi war machine by giving them new prototype ideas and equipments. Yes, well, it’s kinda hard to refuse developing weapons when your family is threatened by concentration camps. Yes, that saved them for these few years until war finished. They were in the queue for annihilation but for the time being, they were useful with their industry. Generalplan Ost stated that 50% of Czechs were to be “removed”. Well, there are (literally) dozens of books and articles on it, especially this year with the mobilization anniversary. The most common consensus is that Czechoslovakia would fall eventually, but the war would take such a bloody toll on Wehrmacht and SS that they would be unable to attack Poland “on time”. After that, it’s speculations. Of course, Czechs and Slovaks would feel the losses much more, as we were and are only small nations. It could have even led to our complete annihilation. However, one has to wonder, if the broken back of the entire nation was worth surrendering… or rather, if straight back and honor would be worth all the dead. I personally think so. There is also the paradox that if things had not gone so smoothly for the Germans, then UK and France might not have felt threatened enough to promise to protect the Polish and thus neatly avoiding the ‘start’ of the WW2. It was even more complicated than that. All the “what if” speculations are based on the fact that Czechoslovakia would keep its border fortresses intact. But by that point, Beneš (the president) was pressured to the point of extortion not only by Hitler and Mussoliny, but also by our French and British “allies”, to accept the treason that was the Munich treaty. If he didn’t, the “international community” would actually label Czechoslovakia as the aggressor and it’s quite possible that if that happened and even if the WW2 started eventually, after the war there would be no effort to restore the pre-war Czechoslovakia. I haven’t read a counterfactual on what would have happened without the Muncih Agreement but I imagine the corse of the war would have been rather different. It was, of course a moment of shame for Britain and I belive Margret thatcher, when prime minister issued a belated apollogy to President Havel. the chechz did th right thing by surrendering, a fact the wonderful historical city of prague gives testimony for. prague would have been bombed to pieces otherwise, just like warsaw was. in fact its one of the few middleeuropean cities to survive the war in almost all their medieval glory. and im (as german) very thankful for that. also chechz resistance would have achieved nothing for the chechzs themselfes, and a madman like Hitler would not have let go of his plans. they maybe would have failed even harder, ending the war a little sooner, but i cant imagine a devestated chech republic would have been worth it. just my oppinion of course. For every great historic moment there are a lot of ” what if “s. When the USSR made an ultimatum to Romania to give “back” Bassarabia in 1940, the King caved in and barely managed to get most of the Army units out before the soviets came marching in. Today’s consensus is that the Romanian resistance would have failed after maximum 8 days against the Red Army. We had no swamps and thick forests like the Fins. Those 8 days bought with the lives of soldiers might have saved a few tens of thousands of civilians that historically never made it over the border and were sent into Gulags after the soviet occupation. This feeling over the years that one nation or the other chose a cowardly path and, fighting instead of surrendering would have eventually changed things for the better is hard to digest. hardly a comparison. German army in 1938 was a completely different animal from that of 1941. Given the sorry performance of Wehrmacht during Austrian anschluss, the possible outcome was far from given. People tend to think of Wehrmacht on the peak of their power running Panthers and Tigers when the reality was a lot grimmer(for jerries nevertheless). German armored forces in 1938 consisted of handful of Pz3 and 4s, rest were Pz2 and 1s – a rather underwhelming setup as the losses during Polish invasion shown. Rest was hippo mobile at best. German invasion in 1939 would mostly be infantry based. That said, they could have gone through Austria, completely bypassing most fortifications. They would receive moral (if not material) support from UK. They had allies in Hungary. And they had overwhelming numeric advantage. It sounds almost movie-worthy. If Hollywood doesn’t tear it apart as they usually seem to do. Not all versions were equipped with both guns. As far as I can remember, the LMG could be fired accurately only when the driver was not driving. The Swedish version had a dual mg setup instead of two single ones. Sounds a bit more practical. Hm… wonder how hard would it be to replace those duel MGs with a single 15mm BESA. That (with limited MM so it would never see T3s) would make a pretty sweet T2 prem. At the same time, it’s quite sad that they had to mobilize tankettes for the Ogaden war. Somalian military at the time had veritable mechanized punch albeit for African standard. Ethiopians must be so desperate. Until the Soviets forcefed every communist guerilla on the continent with AK-47′s and RPG’s, tankettes were perfectly adequate measures, when fighting a bunch of rabble equipped with antique rifles. Nothing more powerful was really needed. Considering some african countries still use the T-34 to this day, it comes as no surprise to me that theese tankettes were used that late. It just reminds me of South Koreans throwing greyhounds against NK armor vanguards at the early stages of Korean War. Just sad at the desperation. also, check my old thread czechoslovak army 1918-38 at mp.net, I hope you ll find there some inspiration. Impressive little tank though. Very impressive. Wonder how many are left. Well, Czech sources claim roughly a dozen, with four in running condition. All in private hands I think. Impressive considering the number built. Hmm…does anyone else see potential tier 2 or 3 light tank material in a Pan-European tree (or a premium on the German tree, since up to now Czech tanks have been relegated to the German tree)? No. The guns are way too weak, even for tier 1. Those are not special Panzerbüchse 7,92mm shells, but regular 7,92mm bullets, I doubt they would penetrate more than 5-10mm of armor. Even if you gave the guns 7.92 AP ammo I am not sure it would work too well. A compact auto cannon of 20mm might fight in it. But I think it would be difficult. supposed to be “might fit in it”. Now that I think of it more you might get a cannon to fit in it as well but the shells case would need to be very short and very wide. Likely no more then 57mm and no less then 37mm. The barrel would ofc need to be short due to balance issues with the breach and to keep weight to the min. You might be able to make this a Tier 1 tank… maybe… maybe… a Tier 2 but highly unlikely.